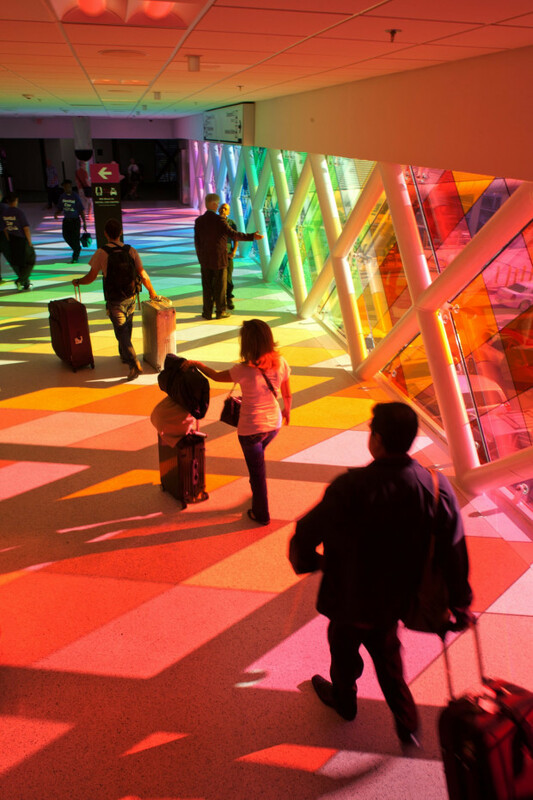 As part of Christopher Janney’s “Urban Musical Instrument” series, Harmonic Convergence is the new gateway to the Miami Airport. 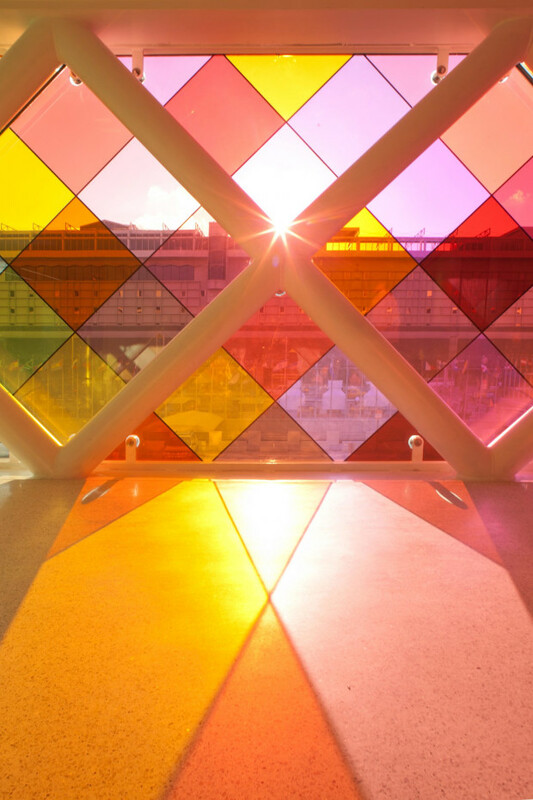 Composed of an 80 foot colored glass wall and an interactive multi-speaker sound-score based on the Florida Everglades over a 2000 sq. 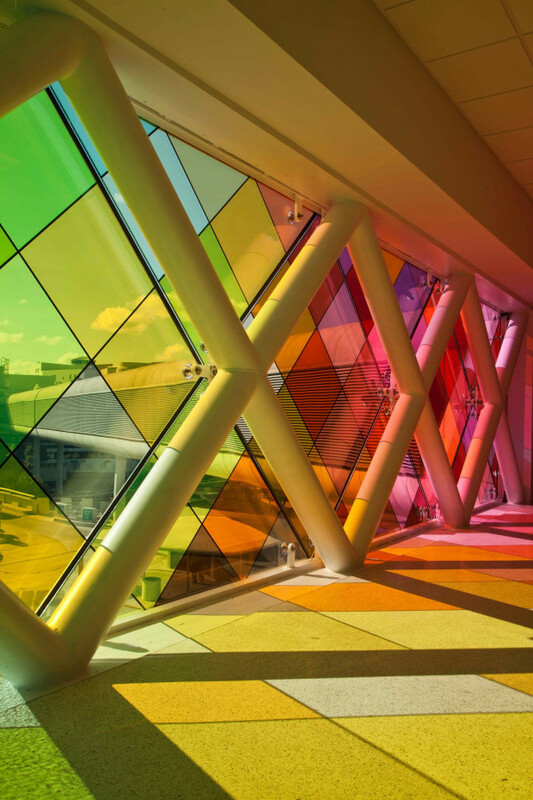 ft. space, this work embodies all the elements of Janney’s unique mix of architecture and music. 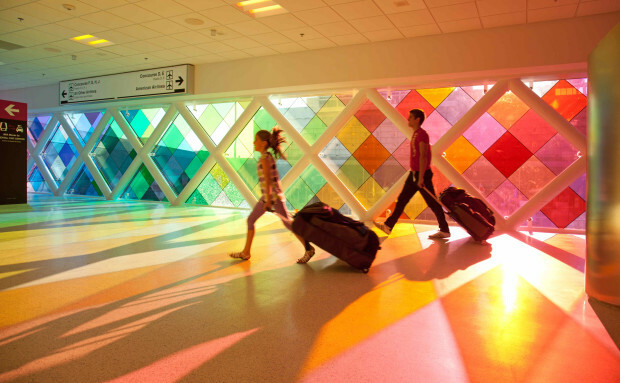 He sought to transform this neutral 1950’s airport interior space into a vibrant place highlighting the colors and sounds of South Florida. Janney’s company is what he calls “benign autocracy.” All opinions are sought, but the Artist is responsible to make the final decision.